Available in Sterling Silver or 14kt Solid Gold. All of HMH Religious products are made of only the finest materials available and made by the skilled American craftsmen. All items carry a Guarantee from defects in material and workmanship. All Medals come in a deluxe velour box. Made in the USA. 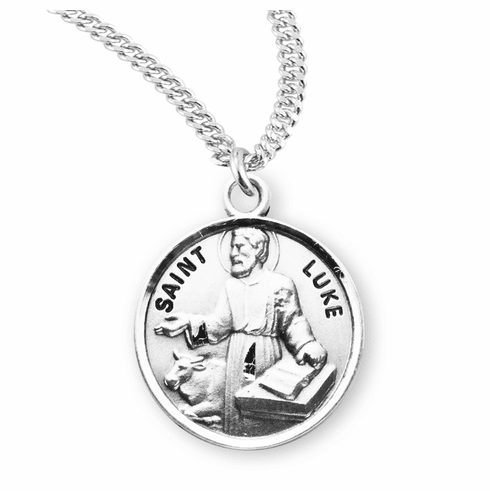 St Luke the Apostle is the patron saint for artists, butchers, doctors, glass industry, goldsmiths, jewelers, notaries, painters, physicians, sculptors, and surgeons.